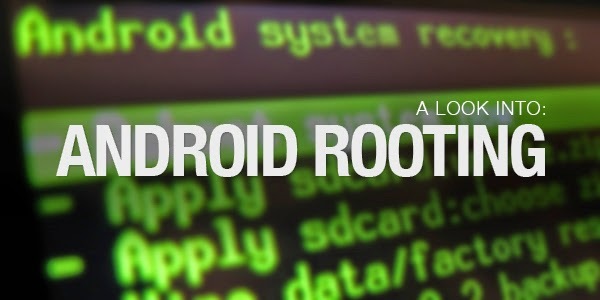 Well the most common question for an Android User is "What is Rooting Android?" and "Why do I need to ROOT my phone?". Here is everything you need to know about rooting.Read on to know the answers to all your questions including the advantages and disadvantages of rooting. Android is an Operating System was designed for commercial and private use,based on Linux at the core/Kernel. Serveral features in Android have been hidden/disabled for future use or to meet the "Data Security" constraints or prevent the user from causing permanent damage to the operating system. "Rooting" is the process in which the limitations are removed and full-access is allowed. It's similar to running programs as administrators in Windows, or running a command with sudo in Linux. Once rooted, the Android phone owner will have more control over many settings, features and performance of their phone as well as flash custom ROM's to your phone, which add all sorts of extra features(features collected from different operating systems and complied in a custom ROM for better user experience and performance. In layman terms, "rooting" means to get to the root/administrative privileges of the operating. Unlock Hidden Features and Install "Incompatible" Apps too: There are few apps which will not be available for your device anf these restrictions are by Google it self, once rooted you can Install any application. Boost Your Phone's Speed and Battery Life: You can increase the speed by controlling the CPU's and also by overclocking the processor! You will also get the full control over the apps so that you can Hibernate the apps whenever not in use. Apps like SetCPU and Greenify will do the job for you. And once you are controlling the CPU and background apps automatically battery life will be increased. Block/Remove Ads in Any App: Well this is the one of the mail reason why people tend to root the device. Once the device is rooted you can remove or block the Ad's of any app! Apps like Lucky Patcher ,AdFree etc will help in achieving this. Remove Pre-installed/Default Applications: Every Android phone comes with pre-loaded apps and certainly you will never user use it in whole life time and you will be surely annoyed by the memory consumed by the app. Well rooting will enable you to remove all those apps and free your device and thus making it less overloaded ! Change/Tweak several parts of Android: Well it means you can easily uninstall only the features which you do not like and get the one you like, example is keyboard: there is a possible a chance that you might not like the key board provided by the manufacturer , just uninstall and that and install the one you like. Flash a Custom Kernel: Kernel is the portion of the code that is responsible for controlling the interaction of software installed and hardware of the device. And also flashing custom Kernel will enable many unsupported/ hidden features of your device. Flash a Custom ROM: Custom ROM is a customized Android OS created for better performance and UI. This is one of the best features which provokes the users to root their respective devices. Note: You don't actually need root access to flash a custom ROM—though you will need to unlock your bootloader. Once the bootloader is UNLOCKED you can flash rooted ROM. Rooting immediately voids your phone's warranty, i.e. your phone will not be applicablle for any warranty claims includind service/replacement warranty ! Rooting involves the huge risk of "bricking" your phone,i.e, a "bricked" phone is no better than carrying around a brick in your pocket. The phone is dead when it has been "bricked." Risk of "Data Security",i.e. Once the device is rooted the user has all the rights to system files and the applications may also have the access to the root hence there is an increased risk of unknowingly installing malicious software when you root an Android device. Root access outwit the security restrictions that are put in place by the Android OS. Can I UNROOT my device after ROOTING it ? Yes, tou can do it anytime and there are lot of guides online to help you in doing that. The decision to "root" your Android phone is one that should not be rushed into.Do not root the phone just because you have to ROOT it, ROOT it only when you feel the necessity of it, like if you are really missing some features, or some things are not compatible, etc.. Though the joy of having an rooted phone is amazing and powerful, having a "bricked" phone is disgusting and irritating. Next question is "What is Unlocking the Bootloader?" , "Why Should I Unlock the Bootloader? ", "What are it's advantages and disadvantages?" and "Can I lock the Bootloader after Unlocking it?" For all the questions stayed tuned and keep in touch soon wee will be coming up with all the answers!